We have had a wild 2016 as far as user experience is concerned. There were some design trends that seemed weak at the beginning of the year but the year progressed, they became a big thing. These designs are rapidly evolving which creates the need to analyze your business in relation to the changes in the designs. 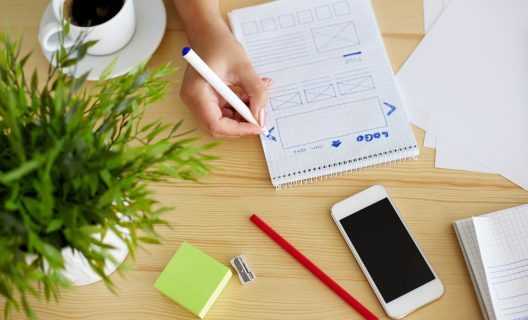 As the digital era takes over all industries, it is important that you learn the importance of making a professional website for your business. This begins with understanding the expected Top UX Design trends that will change the game in the coming years. The mobile and web design experience is changing every day. This is the main reason why you have to stay up to date with these changes. Failing to do so will only see you being left behind in your industry. 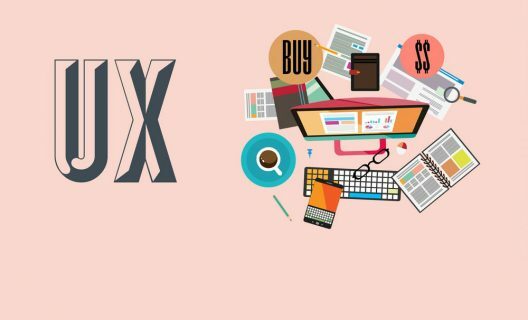 It is important to have a look at the trends that are expected to rock the UX design world in the near future to make the necessary adjustments for your business website before you start losing. Material design has been in the forefront all year round. Though this is the case, Skeumorphism is expected to make a comeback. Skeumorphism refers to the concept used in design to make items look like the real-world items. Skeumorphism will sneak into attractive material design interfaces in website and mobile design projects. all this is to give the user a better experience through what they see on your website. While some design trends come and go and some change, some just stick around for a very long time. Scrolling is one of the trends you should expect to join the mainstream list in 2017. This is courtesy of the increase in video-based content. This content is based in playing and pausing the video or animation as the user scrolls and moves. The changes are all based on the movement the user makes. Most UX experts do not support scrolling, but we can expect a number of innovative ways scrolling will be incorporated without affecting UX negatively. When parallax is implemented properly, it becomes a great visual treat. There will be lifting of elements off screens, creation of dynamic 3-D effects with the foreground moving faster than the background. Visuals have dominated the imagery department on sites and there will be a lot original images replacing the common stock images we have all become used to. We will see more brands engaging professional designers in the creation of the products images. Video editors are already having a laugh in their work as the demand goes high. Photography gigs have gone up by about 22% in the 3rd quarter compared to the previous one. Videos are being used and will continue being used in 2017 as a means to bring a better dynamic experience. It is emerging `as a great delivery of content. Videos have already become popular through social media networks in the display of short videos and live streaming. Accelerated Mobile Pages will be an important element for Google in the coming year. For this reason, you can expect that brands will be quick to optimize the content for mobile to allow faster loading. Google is expanding AMP and we believe UX designers will be following suit. People accessing the internet through mobile devices have exceeded the people who are using desktop computers. It only makes sense to make sure that your site is loading faster on these devices or you will lose business. In 2016, microinteractions gained a lot of popularity. Users have been rating apps, replying to push emails and setting status messages. These are good examples of microinteractions. This interaction will be working towards keeping the user informed about what to expect and asking for information as they handle their business. 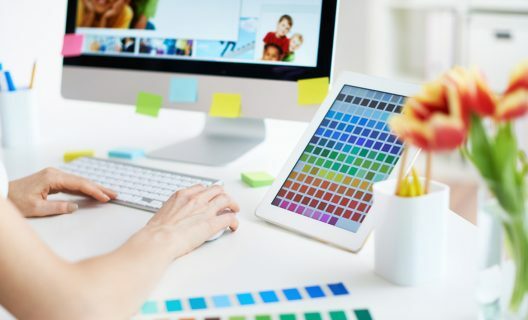 It is evident that website designers are already experimenting with bolder colors and moving away from the ordinary colors that have been common in this industry. We can expect to see a range of colors working together to create a bright display on mobile and desktop screens. Topography is emerging as a style and tone setter for websites. It is building a personality for sites and evoking emotions which are important for any business with a website. UX designers will start experimenting with bolder and bigger fonts. We will now have dynamic font types accompanied by original beautiful images to improve the user’s experiment through visuals. 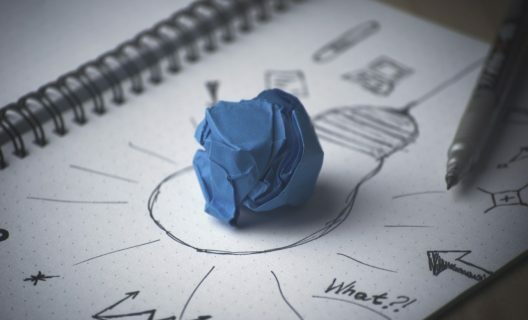 Albeit Prototyping has become a norm in the UX design world, rapid prototyping is the new bandwagon capturing all the focus. This involves the creation of quick prototypes with important functionalities, workflow changes and complex interactions. Rapid prototyping allows changes in technology and design for purposes of enhancing the user’s experience. With the continued and increase in use, we should expect to see a rise in new rapid prototyping tools. These will be used to simplify things and allow experts to test the experience without a need to write code. At least designers can have an easier time showing the experience to the clients without necessarily going through all the processes involved. The collection of data and information through the conventional means is slowly disappearing. You will start seeing less of questionnaires and surveys and more of newer techniques that capture the thoughts, requirements, likes, dislikes and reactions of the user. Technology used to capture feedback includes heat maps and will blend biometric and neurometric devices with eye tracking movements. 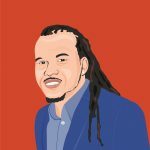 The feedback coming from the technology will be useful to UX designers because they can provide actual evidence indicating what is happening. The evidence can then be used to convince the stakeholders to make all the necessary changes that are aimed at improving the user’s experience. The world is moving at a faster pace compared to a while ago. With this trend, we can expect to see more innovations and changes that are geared towards improving the experience of the user. The world of UX design is not any different. UX Design is a very important in the World Wide Web and mobile development and design will benefit a great deal from in the coming years. We also expect that the trends will bring about innovation and creativity and better experience for all uses regardless of the device they are using to access the internet.